Vistaprint offers a wide range of products and services at incredibly low prices in Australia. These Vistaprint promo codes expire soon, so don’t forget to bookmark this page now. Vistaprint free delivery offer: Receive free delivery from Vistaprint on all orders worth $50 or more. Exclusive Vistaprint voucher codes: Shop for Birthday Invitation card from Vistaprint and get 10 birthday cards for $7.99. Limited time Vistaprint coupon: Buy USB Flash Drives from Vistaprint starting at $14.99. Latest Vistaprint promo code: Create a unique business card for showcasing your professionalism. Buy 250 Premium Business Cards at just $19.99. Seasonal Vistaprint deal & sale: Get simple banners for your business at Vistaprint from just $19.99. New Vistaprint discount: Design your own t-shirt with Vistaprint in no time starting from as low as $19.98. Latest Vistaprint promo code: Get unlimited email address, shopping basket and social media marketing with Premium Website Design Package for $24.99 per month. Limited time Vistaprint coupon: Grow your business with latest Flyers & Leaflets from Vistaprint. Get 500 Flyers & Leaflets for $58.99. Vistaprint free delivery offer: Vistaprint offers 1-month free trial on all website builder and content packages. Vistaprint is a manufacturer of marketing materials and other promotional items. It offers plenty of services through its mass customisation and web-to-print systems. The company was founded in 1995 and it operates around the world. In 2014, the company reorganised its business model and the main company became known as Cimpress. Nonetheless, the retailer operates under its old Vistaprint name in a number of countries, such as Australia. The company aims to empower small businesses and other entrepreneurial organisations to market professionally. The tools it provides vary from business cards to invitations and even clothing. The newest venture of the company is the provision of digital marketing assistance. 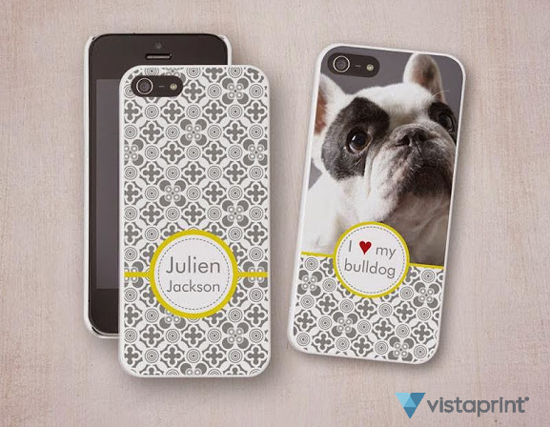 Vistaprint can deliver internationally, but you can also find the retailer operating in a number of other countries. The website is currently available in 22 countries, including: India, Brazil, Ireland, the US and Japan. All of Vistaprint products can be personalised according to your marketing needs. The platform offers designs you can freely use, but you can also upload and imprint your own design ideas. Furthermore, the products will come in different colour choices and you can brand the items closely to your business needs. If you need help with ideas or designs, the Design Services at Vistaprint can help you achieve your ideal design. The templates are also great for getting ideas and you can always choose to customise them further. The top categories on the Vistaprint website include its selection of business cards and the signs and posters section. The website also regularly focuses on the top-rated products, which are recommended by other customers. You can shop at Vistaprint based on your choices. You can choose the category and pick the design and size of the product. You can also choose the amount of items you want to order. Preserve your precious moments with photo frames, canvas & wall arts which can serve as best gift for your loved ones. For this use the fresh collection of coupon codes available under photography section of our site. Don’t forget to check out the specials section for further offers. It has all of the latest product and item offers, including specific promotional codes. You can make further savings on the website by using voucher codes. You need to sign in to your account and make your shopping as normal. If you have coupon code for specific items, add these items to your shopping basket normally. Once you have added all of your items, head down to the My Shopping Cart page. Underneath the product list, you’ll see a box saying Promo Code. Type the coupon code details and click Apply. Your saving will now be added to your order. Similarly, you can also opt for PhotoBox and Photobook Australia to shop for personalised calendars, photobook and much more at reduced price. Vistaprint has a YouTube account, which it uses to inform about promotions and shares how to-videos. Below is a recent video uploaded helping customers design and order vinyl banners from Vistaprint. Vistaprint offers a number of delivery options. You can choose Express, Priority or Standard delivery. The delivery times are 3 business days for Express, 5 business days for Priority and 10 business days for Standard. The prices are $19.99 for Express, $9.99 for Priority and $7.99 for Standard. You can also track most of your deliveries on the My Account page. Vistaprint offers a Satisfaction Guarantee, which can help you obtain a possible refund. The guarantee promises to either help you reprint the order at no additional cost or crediting your account for placing a new order. In order to obtain the refund, you need to contact Vistaprint and provide them information regarding your order and the problem with it. Vistaprint offers a VistaprintCash reward program. You can earn Vistaprint Cash points whenever you make a qualifying purchase on the website. You can use the earnings for purchases during specific promotional periods. The cash is not available outside of these events. The events will be notified on the website and on your account page.